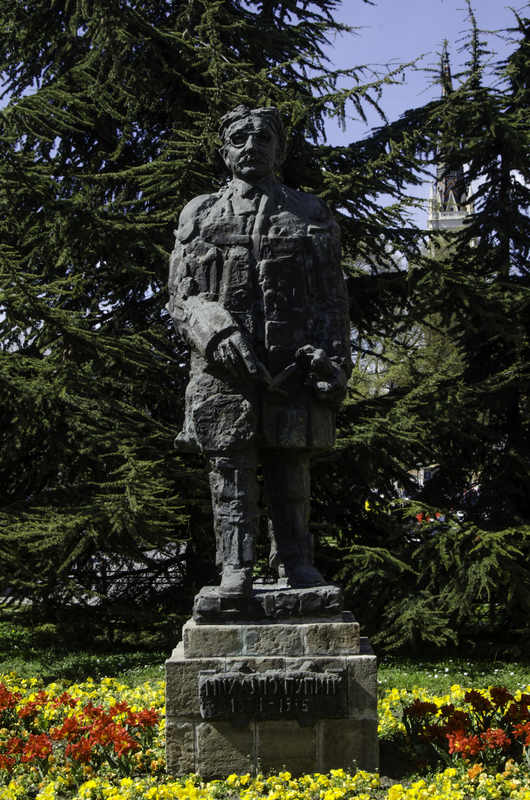 The monument to Mihajlo Pupin (1854 -1935) was officially unveiled in Novi Sad in 2011, at the corner of Modena and Mihajlo Pupin Boulevard. The author of the bronze sculpture which is 3 meters high is a sculptor Sava Halugin. Mihajlo Pupin is one of the most significant Serbs in our history. For a reason, he got the title of protector of national interests. He was engaged in scientific research, was the inventor and lecturer at Columbia University, in New York. When he was 20, he went to America and starting from scratch, gained US citizenship, work in education, gain numerous scientific prizes and awards. In 1924 he received the Pulitzer Prize for his writing skills that stand out in his autobiographical work “From Immigrant to Inventor”. The number of his patented invention is even 34. He died in New York in 1935 and was buried there.